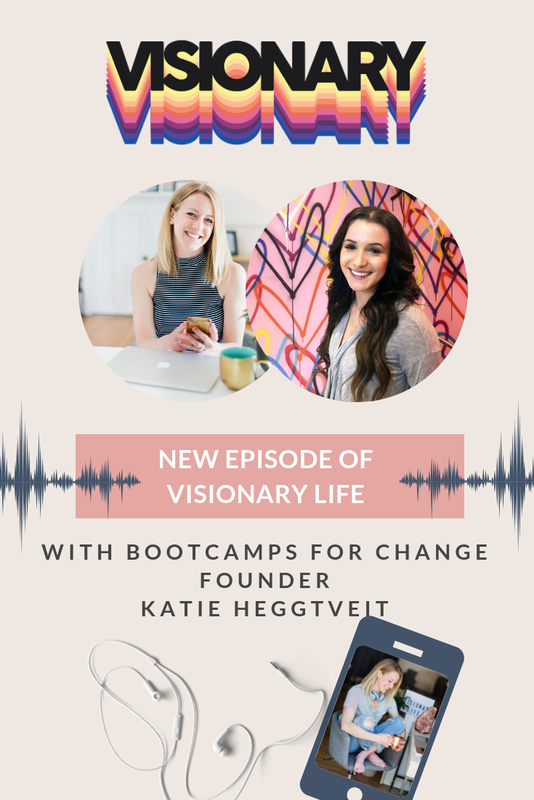 Katie runs her Toronto-based charity, Bootcamps for Change, while studying at Ryerson University full time. Bootcamps for Change was born after nutrition and fitness saved her life at the age of 13. As an empathetic, lifelong volunteer with vulnerable populations, she began to develop strategies to directly address health inequities and employment gaps in her community. Katie is determined to change how the population views street youth by removing accessibility barriers to employment education, life skills as well as fitness and nutrition programs to close the loop. If you don’t know where to begin-- looks to others! What are they doing? How can you modify or improve it? The VISIONARY METHOD begins on November 12th, 2018.